A few weeks ago Sinta at Pink Pin Cushion was nice enough to share a fat quarter bundle of fabric with me for a sew along. The fabric was Madhuri by The Quilted Fish for Riley Blake. We decided the perfect pattern for that fabric would be Star Blossoms by Bonnie at Cotton Way. Are you familiar with this star blossom block? They're very cute star blocks with little blossoms surrounding them. I think it looks like little crowns surrounding the stars, more of a princess blossom, either way, these blinged up stars make a great spring project. 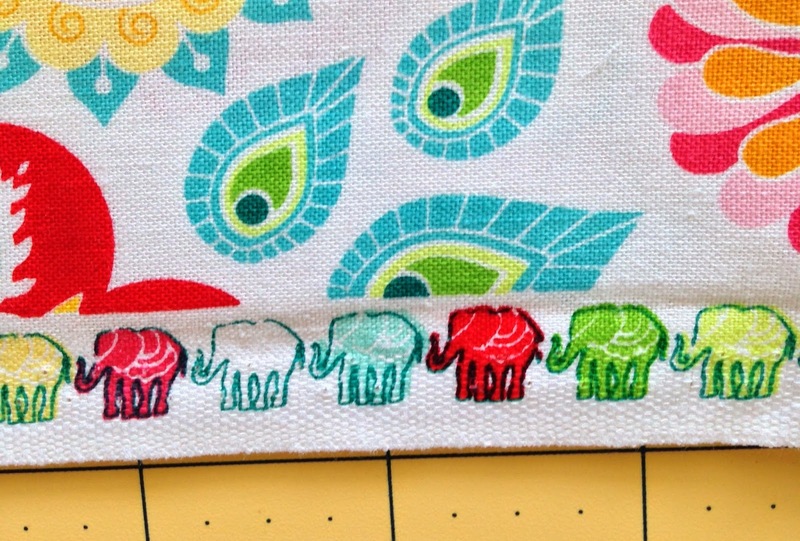 The selvage on this family of fabrics is very cute too, elephants. I'm so glad the trunks are up, doesn't that mean good luck? I've made my four center blocks using pink background fabric. My plan is to surround them with blocks that have a white background. We'll see how that works out, lol. So for my spring it's sewing with a friend and using pretty and cheerful fabric for a fun pattern, what could possibly go wrong? Those fabrics are so bright and fun! I can't wait to see the ones with the white backgrounds. Love the way it looks! Love that fabric, too! Wow it is going to be beautiful! Love your fabrics. Miss your more regular blogging, but makes my day when you put up a new post! Have a very Happy Easter! Anne D.
I like this pattern a lot and I love your fussy cut elephant it is so cute. 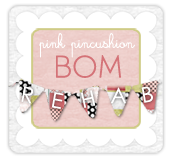 Is your pink background fabric more of the "grunge" fabric? What a wonderful spring project!! I love it! Have not seen the pattern before--but sure do like it. Your colors are so nice and springy!! Aye-yi-yi Thelma! 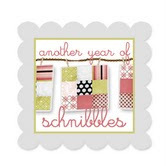 Those quilt blocks are adorable - so springy and fresh! I love it so far! The pink background is wonderful!